Two sound works by Lucy Reynolds made in collaboration with MAP, were installed in The Glasgow School of Art and 5 Blythswood Square during Glasgow International 2014. These, alongside A Feminist Chorus film installation at Glasgow Women’s Library, created a compelling psychogeographical connection between three buildings with a history of supporting women artists working in the city. 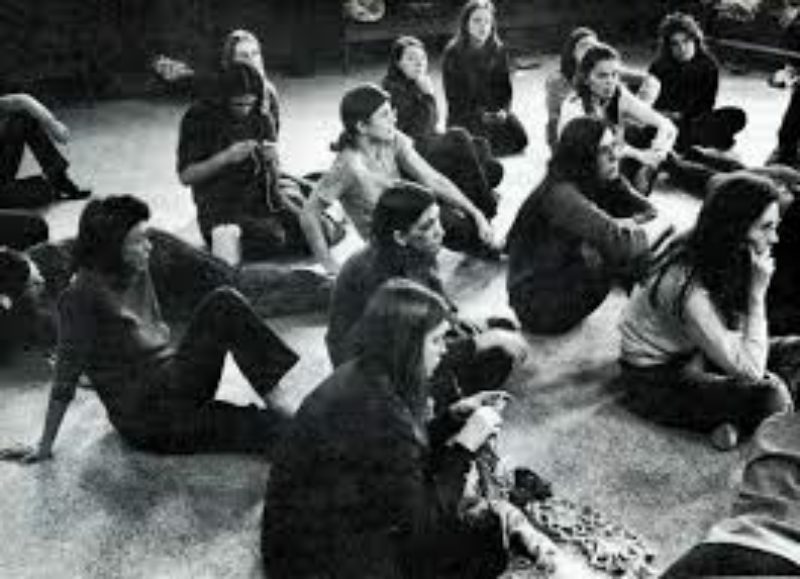 A Feminist Chorus recording at The Glasgow School of Art comprised of a sound work installed in the Hen Run (so called because of its association with female students of the past). The voices of students currently enrolled at the art school offer an insight into the life and creative path of women studying at the school during the years pre-dating the vote. Since the completion of this stage of the project, the Mackintosh Building has grievously suffered an extensive fire and the Hen Run is due for major restoration work. We recognise the significance of this event in light of the project and aim to reflect this in the publication and the following stages of A Feminist Chorus .